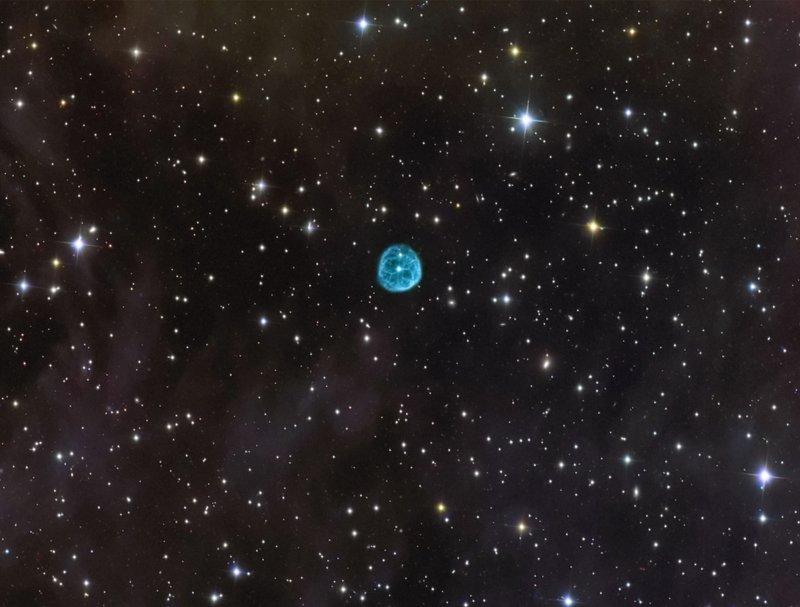 NGC7094 is a mag 13.6 planetary nebula in Pegasus near M15 with an apparent diameter of 1.6 arcmin. It appears roughly circular with a filamentary structure. and was discovered in 1884 by Lewis Swift. The central star is a "hybrid" PG1159 star with significant hyrdogen in its photosphere. There are numerous faint background galaxies in the vicinity of NGC7094. Also, there is very faint background nebulosity pervading this region.